Colin Wren, assistant professor in the Department of Anthropology, shapes stone tools during Anthropology Day UCCS Downtown. 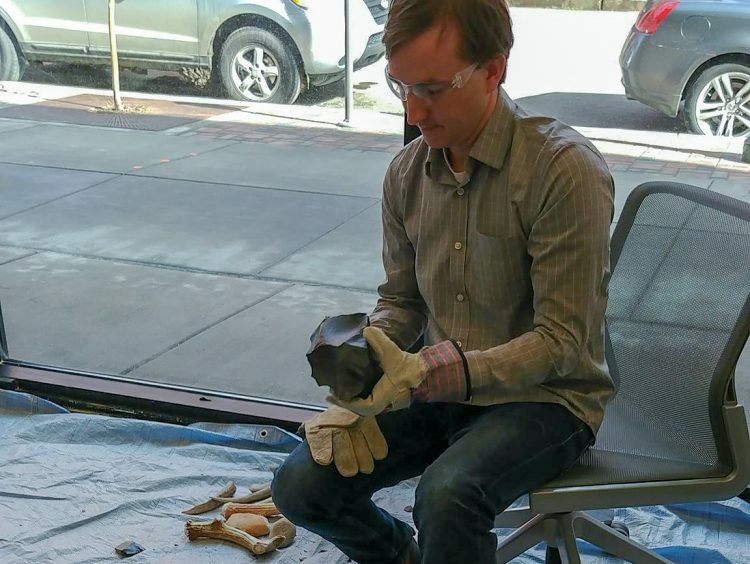 With options to participate in ongoing research projects, see an archaeologist shape stone tools, and explore where UCCS researchers and students have traveled around the world, faculty and students hosted the first Anthropology Day Feb. 21 at UCCS Downtown. “This is a great opportunity for anthropology faculty and students to share our work with the community, to interact with prospective students interested in anthropology, and to introduce people to the kinds of questions we can investigate through the many branches of anthropology,” said Kimbra Smith, associate professor and chair of the Department of Anthropology. 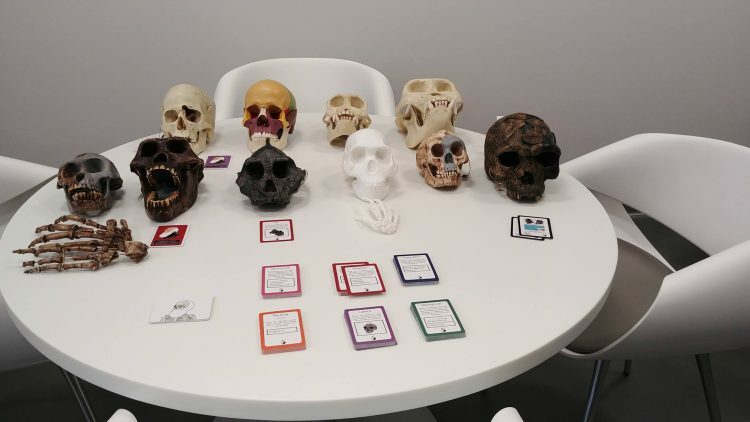 The event was sponsored by the Department of Anthropology, the UCCS Anthropology Club and the American Anthropological Association. An open house in the early afternoon allowed visitors to look through samples in a microscope, interact with touchscreen maps, learn about plaster casts of primate skulls from the Biological Anthropology Lab and explore departmental research initiatives. A mixer for students from UCCS, Pikes Peak Community College and local high school students ended the day, with presentations of the programs offered at UCCS. Plaster molds of primate skulls from the Biological Anthropology Lab.